One of the concepts that sales people often have difficulty with on an advanced negotiation skills course is BATNA. I intended to create a blog for this topic in the future but there is such a great BATNA example in the news at the moment, I thought I should cover it now. So the situation I want to use to discuss BATNAs is the election that has just taken place in the UK. 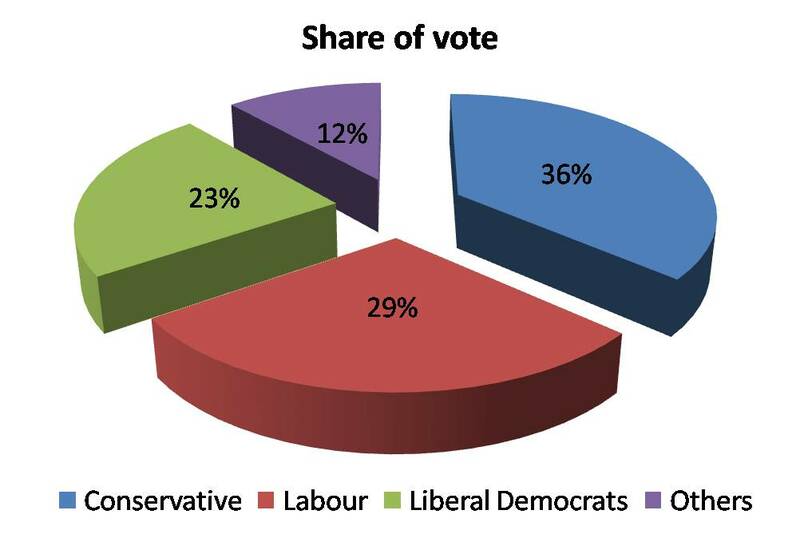 For those not aware of the UK voting system, we have a first past the post system where 650 Members of Parliament (MPs) win seats by beating other parties in a straight fight with no account taken of the actual percentages polled by each party. 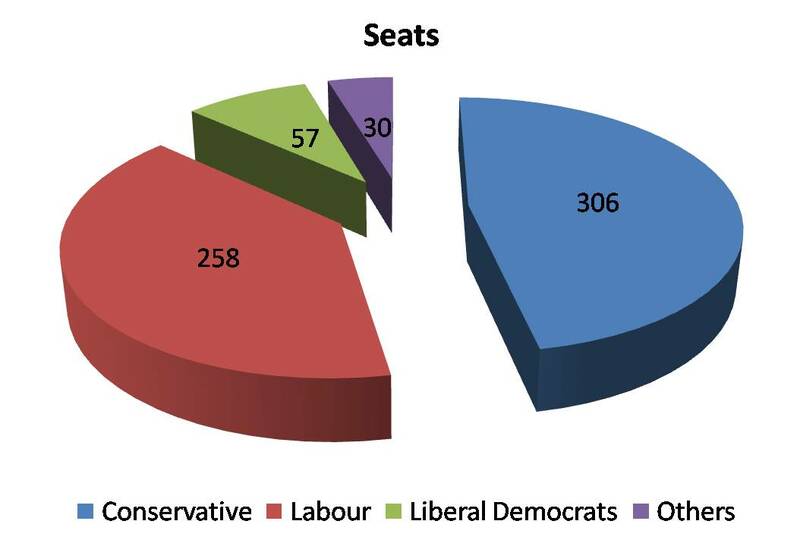 So, as the chart shows the conservatives have won the most seats but not enough seats to command an outright majority in the House of Commons. Where our system is slightly different to other countries is that we have two main parties, conservatives and labour, and then a third party, the Liberal Democrats, who command almost a quarter of the votes but only get about 50 of the 650 seats. Ah, democracy, don’t you just love it! This means that they have a large mandate from the public but this doesn’t normally translate into power. However, this election is different in that neither of the two main parties has an outright majority (326 seats). So the Liberal Democrats hold sway and can effectively decide who forms the next government. As I write this the Liberal Democrats are currently negotiating with the Conservatives regarding working together to form a new government. So, let’s introduce BATNAs – the best alternative to a negotiated agreement. BATNAs are not your final offer, they are what you can do (your alternative) if you have to walk out of the negotiation today. If you think about it, the side with the better BATNA normally has the better negotiating position. So, back to the politics, if the Conservatives can’t do a deal with the Lib Dems what is their BATNA? They would either have to work with a number of smaller parties, all wanting large amounts of money and power, or try and form a minority government. Whereas, the Lib Dems BATNA is to negotiate with Labour, who are actually more closely aligned to them, in terms of policies, than the Conservatives. Add into the mix that the Conservatives have been out of power for 13 years and you see that the Lib Dems have a very powerful negotiating hand to play. So the Lib Dem BATNA is much stronger then the Conservatives BATNA, and hence they should have a better negotiating position. So we will see who this plays out in the coming days, as the Lib Dems main requirement will be that some form of proportional voting system is brought in, probably breaking the two party system for ever and creating coalition government in the UK as the norm. Hopefully, that gives a better example of BATNAs than normally discussed on negotiation courses. So the Lib Dems have managed to squeeze a very good deal out of the Conservatives after a quick dalliance with Labour (maybe they just wanted to up their negotiation position a few notches higher). A good BATNA always gives you a strong negotiation position, the question is “What BATNA can a sales person have in a negotiaton?” I would be interested to hear your comments. This entry was written by John, posted on May 8, 2010 at 6:16 pm, filed under Negotiation and tagged BATNA, change, culture, sales person, value proposition. Bookmark the permalink. Follow any comments here with the RSS feed for this post. Post a comment or leave a trackback: Trackback URL.